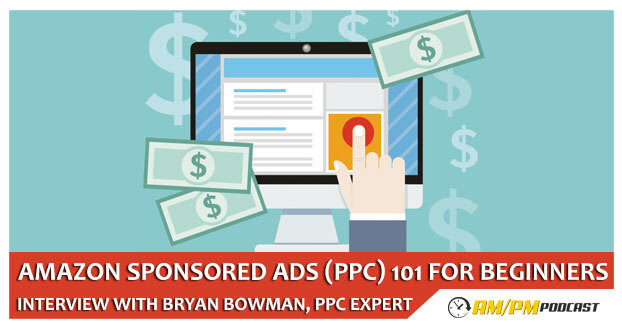 Manny Coats interviews Amazon sponsored ads (PPC) expert, Bryan Bowman and uncovers a wealth of information on PPC strategies for beginner Amazon sellers as well as seasoned pros. How did Bryan Started and more on his background. What part of PPC is difficult? Bryan Bowman talks about some acronyms and its definition. Why should I use Amazon sponsored products? How do I benefit from Amazon sponsored products? How does targeting paid traffic for certain keywords affect organic ranking? Bryan Bowman talks about Amazon Marketing Services. What should I do before going into PPC? Bryan Bowman talks about the difference between auto and manual campaign. Bryan Bowman talks about broad, phrase, exact and negative exact match types. How much should I bid and my daily budget for campaigns? How does a long tail keyword work? Why does my ad campaign not working? How do I properly setup an ad campaign? Bryan Bowman shares his three different campaign strategy. How early should I start with PPC for my listing? Bryan Bowman shares some tools to help in keywords. How important that keywords are in the actual product listings or back end search terms? Bryan Bowman talks about how he analyzes data. What is a good starting advertising cost? How do I setup ads for product variations? Listen to his podcast to learn more.